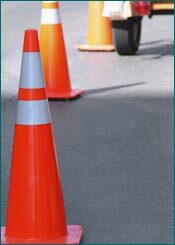 Standards & Details for Roadways – The Standards & Details for roadways were updated and implemented in December 2010; this is the governing document for all roadway construction, including repairs, utility placement, drainage structures, and supporting work. Complete manual available for download or access specific information by chapter. Sunshine Utility Location – Call 1-800-432-4770, or visit www.sunshine811.com. Always Call Before You Dig! Stormwater Management – The control and management of runoff generated by rainfall is of utmost importance to St. Johns County. Several agencies play a role in the evaluation of stormwater generated by development; however, the Land Development Code explains the County's principal regulations; see Section 6.04.06 Design Standards and Improvement Requirements. Floodplain Development – Any development in the floodplain requires a construction permit. Please see Flood Facts. If you suspect that illegal floodplain development is occurring, call the St. Johns County Transportation Development Division at (904) 209-0672.